It can be argued that no person is more responsible for the current state of the conservative movement, good and bad, than former Fox News chief Roger Ailes. 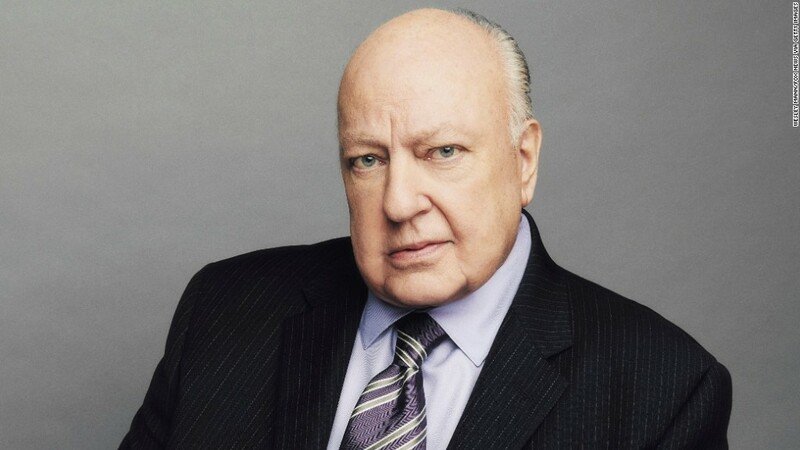 "You can't tell the story of the rise of the conservative movement without talking about Roger Ailes. But you also can't talk about how it went off the rails without talking about Roger Ailes," conservative radio host Charlie Sykes told CNN. "To the extent that conservatism has been eclipsed by shrill showmanship -- he was the ring leader. He was the guy who brought the circus to town." Ailes, who died Thursday at 77, spent decades in Republican politics and was known as a brilliant communicator. He advised Republican presidents from Richard Nixon to George H.W. Bush. In 1984, Ailes gifted Ronald Reagan with the famous one-liner he deployed when confronted in a debate about his old age: "I will not make age an issue of this campaign; I am not going to exploit, for political purposes, my opponent's youth and inexperience." But his biggest triumph, the crown jewel of his career, was the Fox News Channel. Ailes was the founding chief executive of the network, in 1996, and he ran it until his ouster amid a number of sexual harassment allegations in 2016. During the span of those two decades, Ailes built the network into a ratings powerhouse and one of the most influential forces in American politics. Ailes understood that there was a large swath of the country that did not feel served by the traditional news media. Sure, there was the National Review and the Wall Street Journal's editorial page. But such outlets had narrow appeal and their readership was largely among the affluent and elite in Washington and New York. Ailes was thinking bigger. He wanted the Fox News Channel to have mass appeal and break through the coastal elite bubble. A showman, Ailes wanted big personalities with even bigger takes. The result? The rise of the conservative mega-star. Bill O'Reilly, Sean Hannity, Glenn Beck. Ailes ushered in a generation of conservative media celebrities. Even the individuals who didn't work for the Fox News Channel passed through Ailes' sphere at one point or another. Ailes served as the executive producer of Rush Limbaugh's television show in the early 1990s. And the conservative media industry as a whole was lifted up by Fox News. "Why is Breitbart a big deal today? Because of Matt Drudge. Why was Matt Drudge a big deal? Because Ailes and the company elevated him when he was going after the Clintons," said Ryan Williams, former deputy national press secretary for Mitt Romney's 2012 presidential campaign and now vice president of communications at FP1 Strategies. "Ailes was incredibly successful at finding these talented personalities who put their spin on current events." "He created the era of conservative celebrity pundit," Williams added. "People would appear on his network and get their own shows, write books and push a brand to conservatives. And it's not only changed conservative media, it's changed conservative politics." Whether that change has been for the better or not is a matter of intense debate. Critics have argued that the rise of conservative celebrity culture has elevated personalities with more style than substance into thought leaders on the right -- positions previously occupied by intellectual forces like William F. Buckley Jr. The conservative celebrity, they say, wins attention and appeals to the masses, not through dry debates on public policy, but by offering up fiery takes on the issues of the day. And that's exactly what Ailes wanted: Simple talking points that are easy to understand, rile up the conservative base -- and generate ratings. "There's no doubt Ailes had a hand in creating today's celebrity pundits on the right, which seemed to parallel the rise of reality stars. In both cases, it was style over substance," said Ted Newton, president of Gravity Strategic Communications and former communications adviser to Romney. "But the toxic effects on society are the same, whether it's a Hannity or a Kardashian." Many of these right-wing luminaries, the critics say, demonstrated in 2016 that they were more motivated by the business aspect of political commentary than serving as honest gatekeepers of the conservative movement. When Trump -- a former reality-TV star who knew how to generate ratings, perhaps as much as Ailes -- came along, they eagerly jumped on board, despite his obvious lack of conservative credentials. This led to a fissure in the conservative news media. More traditional conservative outlets, like the National Review and Weekly Standard, resisted Trump, much to the ire of the Trump-boosting cadre. The latter group, which commanded a much larger audience, seemed to win out in the end. Nicco Mele, director of Harvard University's Shorenstein Center on Media, Politics, and Public Policy, told CNN that business came first for Ailes and his flock -- and Trump was good for business. "Roger understood that divisiveness creates opportunity," he said. "Divisiveness is a good business strategy in many ways. And he knew how to exploit that. And while that might have made for a successful television channel, I think that was very bad for the country and our politics." That's not to say that Ailes doesn't have his defenders. Mark Levin, a nationally-syndicated conservative talk radio host, vehemently disagreed with the idea that the Fox News Channel split the country apart. "I've studied very deeply this issue of progressivism and statism and so forth," he told CNN. "Ailes didn't create divisiveness in this country. The left does that. The rich against the poor. The old against the young. Blacks against whites. These are the tactics ... the bread and butter of the left." Levin said that Ailes simply "created a cable network that gave some voice -- at least somewhere for people to go who were sick and tired of that." John Podhoretz, the editor of Commentary magazine and a New York Post columnist, told CNN he also believes the Fox News Channel has "been a positive force in American politics." "In general, what it's done is open up the national conversation," he said. "This idea that it's bad -- that's just classic liberal snobbery and totalitarianism at work." Regardless of the ongoing debate over Ailes' legacy, the conservative media celebrity is here to stay. Personalties like Hannity have flourished in the Trump era. Viewership for the Fox News Channel has never been higher. "Whatever you think of what Ailes has done to the state of media, there is no turning back at this point," said Williams. "It will never go back to the way it was."